A lot of reggae fans look at the mid to late 1970s era as the “heyday” of reggae music, especially when speaking of dub reggae. Whether you agree with this or not, that period of time certainly has a very distinct sound and FEEL to it, that for the most part has not been duplicated. I would say Alborosie, with his new album “Dub Clash”, comes as close as anyone to creating a sound reminiscent of this era. Using all vintage effects (Roland Space Echo, Multivox delay, etc.) and very rootsy riddims, many tracks from this album sound like they could be B Side dubs from King Tubby himself. This is not surprising, since Alborosie has ranked the King as one of his greatest musical influences (the intro track is a “Tribute to the King”). That said, Alborosie definitely has his own unique style and really shines on this album as producer, musician (he plays drums, guitar, keyboard, and percussion), and dub engineer. Wicked from start to finish, “Dub Clash” features dubs of some of Alborosie’s popular tunes like “Kingston Town”, “No Cocaine”, “Baltimore” with The Tamlins, as well as some unique dub specials. “Marcus Dub” was featured on last weeks edition of the Jah Works Radio Show (12/3/10), and more tunes will be heard in upcoming weeks. Keep it locked! 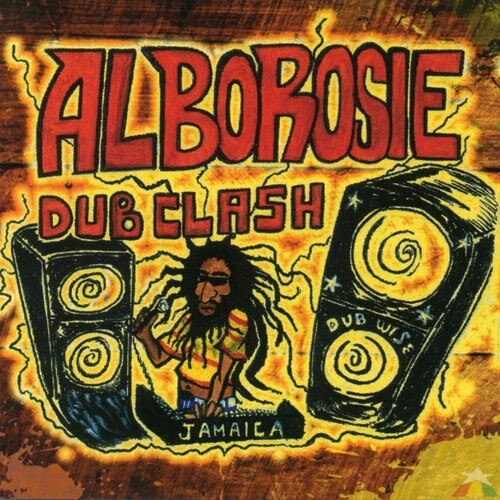 This entry was posted on December 8, 2010 at 9:33 am and is filed under Reviews with tags Alborosie, Alborosie Dub Clash Review, Dub Clash, Review. You can follow any responses to this entry through the RSS 2.0 feed. You can leave a response, or trackback from your own site. Tribute to the King sounds like a Tubby original. Alborosie is the don dada!